The following is a revised excerpt from my chapter “Psychotherapy Practice as Buddhist Practice” in Encountering Buddhism: Western Psychology and Buddhist Teachings which explores the relevance of the Eightfold Noble Path to the psychotherapist’s craft. If you’re not a therapist, you might not find this all that interesting. On the other hand, you could replace the words “therapist” and “client” with the words “myself” and “anyone I’m in a relationship with” and see if the shoe fits. Psychotherapy is a form of right livelihood that depends on right speech, and as such, every encounter with a client can be a spiritual encounter. Therapists are supposed to maintain mindfulness, avoid ensnarement in transient states of desire and aversion that can derail therapy, and skillfully employ compassionate and discerning speech with the intent of relieving suffering. This kind of moment-to-moment attentiveness and compassionate non-egoistic focus elevates the therapist’s practice from the merely professional to the spiritual. Being fully present with a client becomes not only a means of earning a living or fulfilling a moral imperative but part of the therapist’s path of spiritual development. Every client encounter becomes part of the therapist’s learning process, not just in terms of becoming a better therapist, but in terms of becoming more fully human. In considering the practice of psychotherapy as a form of spiritual endeavor, it can be useful to explore the psychotherapist’s role and craft from the vantage point of the Eightfold Noble Path. For purposes of convenience, we will begin by dividing the The Eightfold Noble Path into its three traditional components of sīla (virtue), samādhi (concentration), and pañña (wisdom). The Buddhist concept of sīla is best exemplified by the Five Precepts: 1) Desisting from killing other beings, 2) Not taking what doesn’t belong to one, 3) Not harming others through acts of speech, 4) Refraining from sexual immorality, and 5) Abstaining from intoxicating substances. Making sure one’s mind is unclouded by intoxicants and guarding against sexual boundary violations are part of the therapist’s minimum standard of care, as is the duty to prevent physical harm to self and others. “Not taking what is not freely given” is relevant to fair billing practices and ethical financial dealings with clients and insurance companies. What do Buddhists mean by harmful or wrong speech? The Kakacūpama Sutta states that speech can be “timely or untimely, true or untrue, gentle or harsh, connected with good or with harm, and spoken with loving-kindness or inner hate.” In therapy our words must arise out of loving-kindness, and be gentle, timely, true, and spoken with helpful intent. Following this precept requires that we mindfully monitor our moods, intentions, and communication to attend to our countertransference, and to guard against our own anti-therapeutic behaviors. Samādhi consists of “right concentration,” “right mindfulness” and “right effort.” The most precious gift one can give anyone is the quality of one’s attention. As therapists, our goal, over and over, is to attend to this client/therapist interactive field in this moment, just as in meditation our goal is to attend to this breath in this moment, over and over. In meditation, the meditator quickly discovers how easily attention slips off of the breath and wanders, and learns to keep bringing attention back to the breath without judgment. In psychotherapy we quickly learn how easily attention wanders from bare attention to the client/therapist field, and learn to keep bringing attention back to the client/therapist field without judgment. Mindful concentration is an essential ingredient to forming a positive therapeutic alliance and to the kind of deep listening that nurtures the interpersonal space where transformation and healing occurs. Whatever theory we operate within, our very next intervention, our very next interpretation, our very next action, proceeds from the depth of our understanding of this very moment in this particular client/therapist interactive field. We are also mindful of our tendency to identify with or distance ourselves from our clients in each passing moment of our therapy sessions. If unwatched, our tendency is to take what is said and happening personally rather than just hearing it openly and freshly, with curiosity and wonder. If the client is critical or resists our interventions, we can become angry and defensive; if the client is compliant and friendly, we can be co-opted or seduced. We can think/feel that the client is “one of us” or “one of them.” Our sense of self can become inflated as a client improves, or deflated as a client’s illness festers despite our best efforts. Mindfulness listens to and watches all of this impartially: the contracting and expanding, the distancing and merging, the openness and the defensiveness, the criticism and the appreciation. It is for or against none of it. It does not get ensnared and entangled, or if it does, it notices the ensnarement and entanglement with equanimity and compassion. As we listen, we strive to maintain a friendly attitude toward the client, toward ourselves, and toward our own experience, an attitude marked by mettā (loving-kindness), karuna (compassion), and upekkhā (equanimity). Loving-kindness implies an openness, receptivity, and willingness to accept ourselves just as we are and others just as they are, with equanimity, and without needing to distance ourselves. We try not to become ensnared by states of aversion that separate us emotionally from the phenomena we are observing. We can’t accurately understand clients if we emotionally distance ourselves from, feel separate from or superior to, or condemn or feel disgusted by them. This doesn’t mean we approve of all our clients’s actions; we recognize how clients contribute to their own misery and the misery of others. We understand, however, the conditions out of which these actions arise, and how we, faced with similar causes and conditions, might act no better. We also understand how condemnation and disgust creates feelings of humiliation, shame, and rage, closing clients off behind walls of defensiveness, and making clients less able to comprehend the consequences of and their responsibility for their actions. Words of instruction can be spoken from a compassionate heart, and decisive action to prevent harm can emerge from care and concern rather than anger and aversion. Our friendly stance towards the client’s experiential world supports the client’s acceptance, toleration, and integration of thoughts, feelings, attitudes and behaviors that have previously been objects of self-aversion. Our ability to be with clients in a friendly, experience-near way is a precondition for clients to take a friendly, self-nurturing stance towards their own experiencing, which can ripen into wholeness and appropriate self-regard and self-care. In many therapies this shift from self-loathing to appropriate self-caring is the turning point on which a successful outcome depends. Wisdom refers to an understanding of dukkha (suffering/unsatisfactoriness), anicca (impermanence), anattā (non-self), and śūnyatā (emptiness/interbeing). It posits that all phenomena are impermanent, devoid of a solid, unchanging essence, and co-existent as aspects of the entire web of being. As a corollary, all phenomena are ineffective as permanent solutions to the existential unsatisfactoriness of the human condition. Dukkha (Unsatisfactoriness). Unsatisfactoriness is not only an essential fact of the client’s life, but also our own. As we conduct a psychotherapy, we experience many unpleasant moments. We need to sit unflinchingly with the client’s pain. We also need to sit with our own pain: the ache of our own uncertainty and insufficiency, our moments of discouragement and hopelessness, our moments of boredom and disinterest, our own myriad personal distresses which reverberate in sympathetic harmony with the client’s problems. If we withdraw emotionally or attentively, or react without mindful attention, breaks in the therapeutic alliance are inevitable. If we can be attentive to these states, accept them, and hold them within our own spacious being, the therapy is more likely to succeed. Annica (Impermanence). There is no solidity to existence; existence is always in a state of transformation. Everything is always on its way to becoming something else. This is as true for our world as for the client’s. We often get caught up in psychological constructs which reify clients rather than seeing them as changing, fluid beings: To the extent that we assume a static and unchanging world we become blind to the possibilities for change within each moment. We can also cling rigidly to an idea of what it means to be a therapist. Our own changing, flexible, protean self can become encrusted within a rigid conception of our role; Our ability to flow and adapt can be obscured by a social role or personal character armor. We can lose our ability to see the genuine therapeutic possibilities of this moment right here, right now, which may just call for something original, daring, and never-before-thought-of. In a world that is constant transformation, the possibilities inherent in this moment may never come again. In understanding anicca we understand that we are subject to causes and conditions just like all other beings. One moment we’re attentive, the next moment lost. One moment we’re brilliant, the next moment befuddled. One moment we’re compassionate, the next moment threatened and self-centered. We must be at home with all of this, as attentive as possible to our shifting mental states, accepting of change, and ever ready to seek a new state of balance. In addition, we must be willing to allow the role of client to change as the client’s needs shift due to either growth or deterioration. Anattā (Non-Self). Since things are in a constant state of flux, there can be no such thing as an immutable identity to things. Anattā is often misunderstood as being primarily an ontological statement, but it actually is intended to serve the pragmatic purpose of liberating us from our selfish preoccupations. The more we understand anattā, the less likely therapy will be about the selfhood of the therapist. Why work so hard to protect an identity that has only a quasi-existence? Why cling tightly to images of ourselves as better, smarter, healthier, more knowledgeable, or more right than our clients? If a client is angry with us, why get caught up in an identity narrative about being the aggrieved helper? If the client improves, the value of our self doesn’t have to go up ten points, nor does our stock need to decline when therapy fails. The client doesn’t need to get better for or stay sick for us. With less of a sense of self to protect, we are freer to hear and open to the client. When self-identification loosens, a natural connectedness to and caring for the suffering of others can manifest freely. That connectedness and care is impeded by the need to protect oneself, and flows when attention to “me” and “mine” abates. 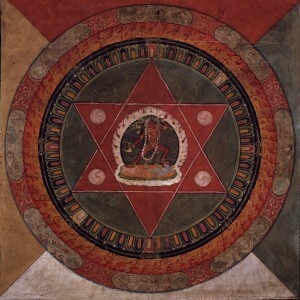 Śūnyatā (Emptiness/Interbeing). Śūnyatā is usually translated as “emptiness,” although Thich Nhat Hahn’s “interbeing” seems a more helpful translation. 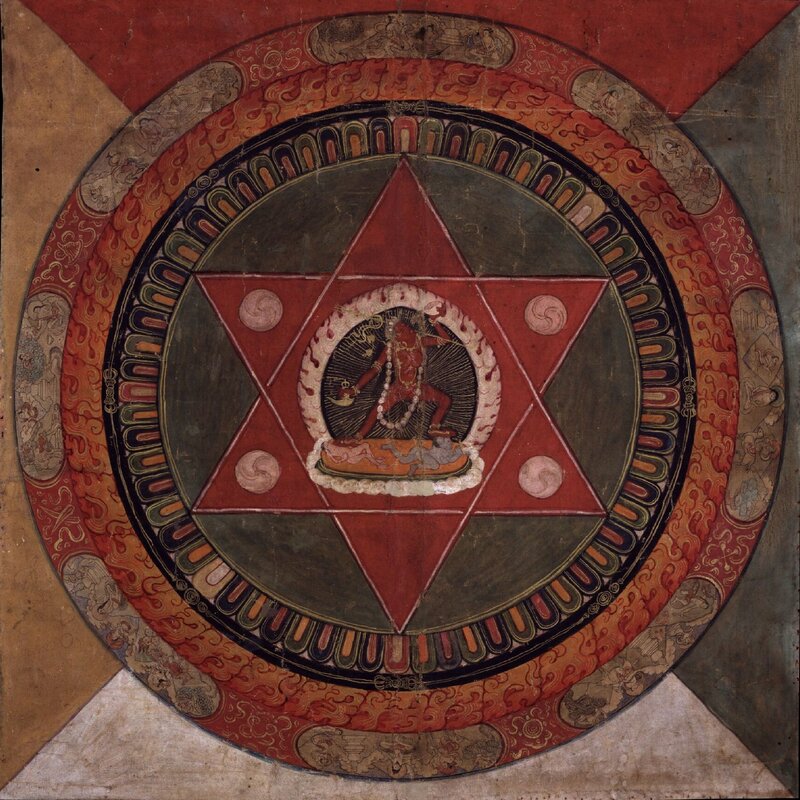 Interbeing is a natural consequence of impermanence and non-self, pointing to the interconnectedness and interdependence of all phenomena. Nothing exists except in interrelationship with everything else. Clients do not exist separate from their families and social systems; clients and the clinical phenomena which they exhibit in therapy do not exist separate from the client/therapist interaction; Phenomena do not exist by themselves, but only as part of a field, and the arrow of causality within that field is always multidirectional. While these insights aren’t new, it’s often hard to directly perceive the interdependent nature of things. Western culture has a bias in favor of emphasizing independence and autonomy over interpersonal relatedness. Our cultural and personal biases cause us to continually lapse into unbalanced and simplistic modes of thought that fail to take interbeing into account. It’s often hard to see how we and our clients co-create phenomena during the complex and intense emotional pushes and pulls we experience within the therapeutic relationship. Buddhist practice is one way to ground ourselves in an appreciation of interbeing during the most emotionally charged therapeutic interchanges. Psychotherapists are supposed to know how to monitor their own emotional processes, to see complex interpersonal transactions with a minimum of defensiveness, and to use this monitoring and seeing in service of maintaining a therapeutic relationship that is focused on relief of the client’s suffering. These expectations are taught in graduate school, but the emotional skills required to achieve them rarely are. All too often, training in psychotherapy has to do with the acquisition of skills that can be externally measured and quantified: the mastery of a body of facts and theories, the development of specific communication skills, the adherence to a manualized protocol. Buddhist practice can be an important vehicle for developing emotional skills that are vital for the successful practice of psychotherapy, (and interpersonal life in general!) but are harder to teach: openness, receptivity, awareness of internal process, equanimity, compassion, and an enhanced sensitivity to inter-relatedness.